Alabama secretary of state says more voting would cheapen the work of civil rights heroes. Alabama Secretary of State John Merrill. Automatic voter registration has recently emerged a key tool in increasing the United States’ anemic voter turnout. The process is simple: Whenever an eligible citizen interacts with a government agency (typically the DMV), she is registered to vote unless she declines. Although automatic voter registration is a nonpartisan initiative, it tends to be favored by Democrats and opposed by Republicans, who believe they fare better in low-turnout races; two Republican governors have already vetoed Democrat-sponsored automatic voter registration bills in Illinois and New Jersey. 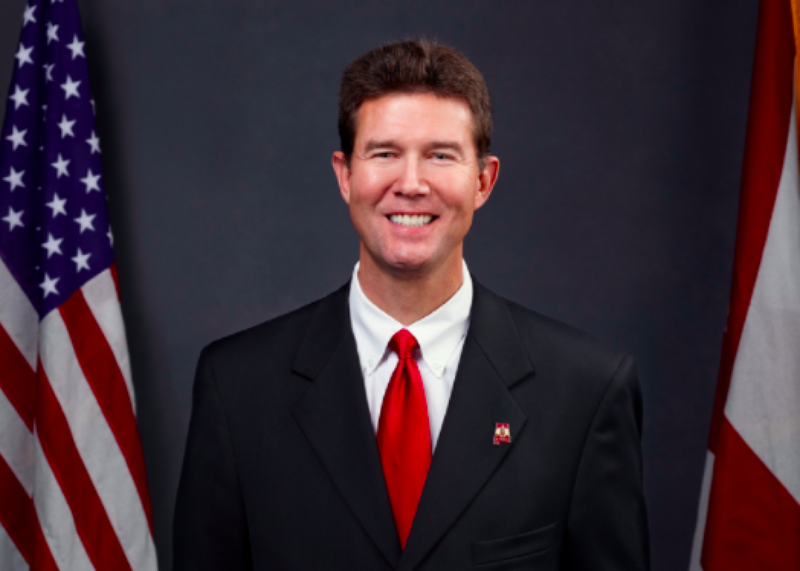 Now Alabama Secretary of State John Merrill, a Republican, has joined the opposition. Asked a question about automatic voter registration, Merrill declared that the practice “cheapen[s] the work” of civil rights heroes and that “just because you turned 18 doesn’t give you the right” to vote. These people fought—some of them were beaten, some of them were killed—because of their desire to ensure that everybody that wanted to had the right to register to vote and participate in the process. I’m not going to cheapen the work that they did. I’m not going to embarrass them by allowing somebody that’s too sorry to get up off of their rear end to go register to vote … because they think they deserve the right because they’ve turned 18. You only get a trophy if you win! And if you want to participate in the process, there’s a system for doing that. And we want to make sure that they have the ability to do that. And we’re going to help them have the opportunity to do it. But just because you turned 18 doesn’t give you the right to do anything. If you’re too sorry or lazy to get up off of your rear and to go register to vote, or to register electronically, and then to go vote, then you don’t deserve that privilege. As long as I’m Secretary of State of Alabama, you’re going to have to show some initiative to become a registered voter in this state. Two points about Merrill’s disquisition. First, the voting rights pioneers whom he invoked spoke about the ballot in nearly sacrosanct terms as the bedrock of democracy; it is difficult to imagine them criticizing any effort to provide the ballot to more people. Second, under the 26th Amendment to the United States Constitution, turning 18 does, indeed, give an American citizen the right to vote. So Merrill’s statement that “just because you turned 18 doesn’t give you the right to do anything” is not only contradictory to basic values of citizenship and democratic engagement in America. It’s also just plain wrong. Update, Nov. 2, 2016: This post has been updated to reflect the fact that while Merrill insists automatic voter registration would “cheapen” Lewis’ legacy, Lewis vigorously supports the initiative and has for at least 40 years.